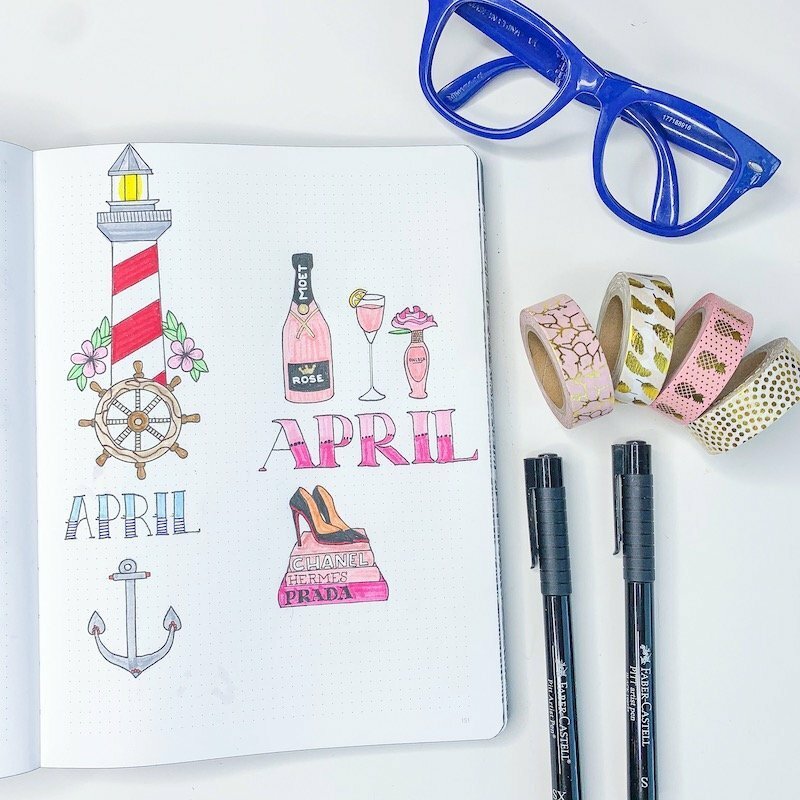 Are you contemplating starting a bullet journal? The information on the internet can be overwhelming. Let me break down the pros and cons of bullet journaling, from 3 years of experience. Everyone talks about how great bullet journaling is. And, let me get this straight; it is. Bullet journaling has an endless list of benefits. I could go on an on about how amazing bullet journaling is and how it has changed my life for the better. But, no one really mentions the cons of this creative planning system. And while I do believe that bullet journaling can work for anyone and that it encourages organization and creativity, there are also some realities that must be faced. 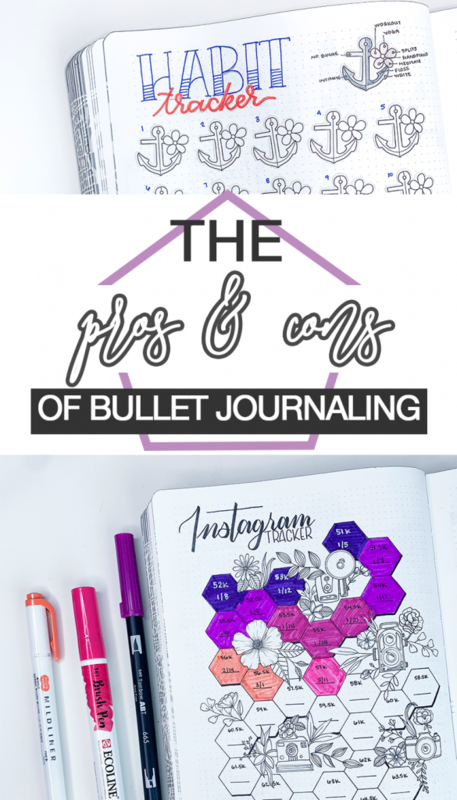 This post is going to quickly dive into the benefits of bullet journaling, which you likely have already read about. And then I’m going to dive deeper into the cons of bullet journaling and some of real obstacles that you may encounter. We’ll start with the good. 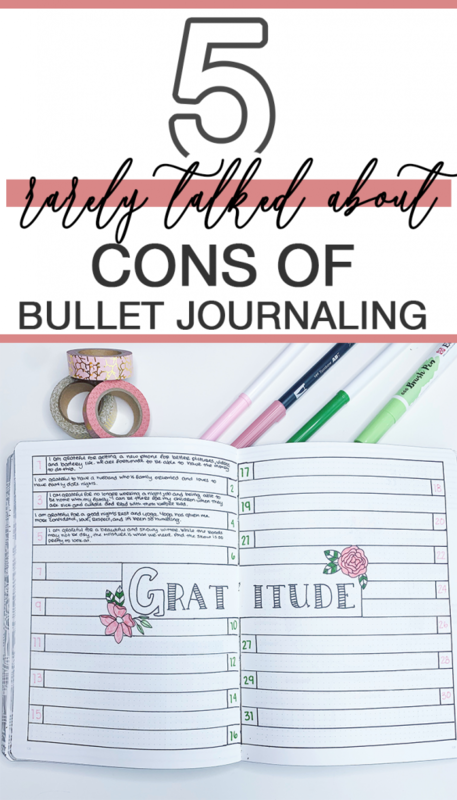 Because there are so many amazing benefits of bullet journaling and so much information available on the system, I want to keep it short and quick before heading into the not so pleasant side of bullet journaling. 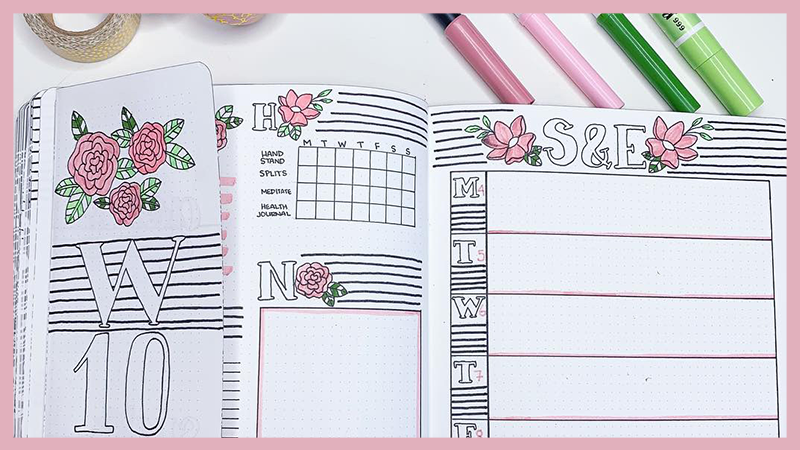 Bullet journaling has a long list of benefits, including increased productivity and organization, creative opportunities, and enjoyment from a hobby. This is the big one. It’s what the majority of people want from their bullet journal and why they started. 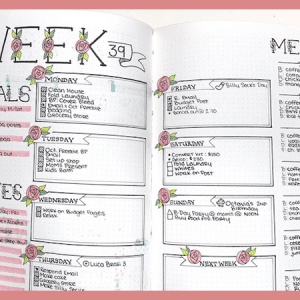 Bullet journaling gives you the structure of a planner but with the flexibility to tailor it to your own needs. 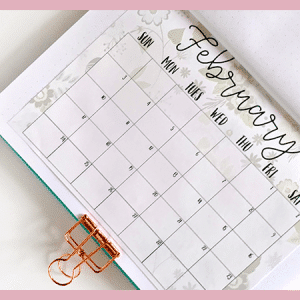 You can be goal specific and create your monthly and weekly pages to fit those goals. The simple action of writing down your tasks in your journal encourages you to get them done more so than just trying to remember them. And then you add in things like habit trackers. Habit trackers are an amazing productivity tool. When you pick daily habits that are small steps towards your goal, you are holding yourself accountable and motivating yourself. As far as organization goes, the bullet journal is far superior to any planner. You can create collection pages for just about anything. Want to keep track of all of your passwords or the last time you changed the air filter in your house? You can! 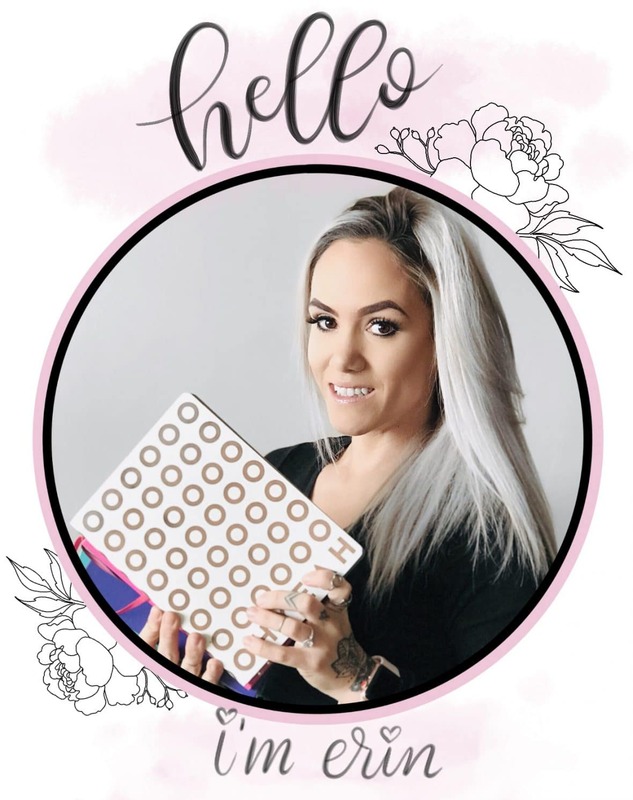 I use my bullet journal to keep track of blogging projects I’m working on, my health and fitness goals, recipes, and so much more. There really isn’t a cap on what you can do to organize the individual areas of your life. When talking to others in the community, one of the things most of us agree on is our expanded creativity and joy. Often, once we become adults, creativity goes by the wayside to make room for daily chores, family, and work. But, the bullet journal offers the benefit of creativity on your own terms. Sometimes I have the time and energy to sit down and draw an intricate spread, and other times I just need some simple headers and space to write in my tasks. But, at the end of the day when I open my bullet journal, I know I have a place to be creative if I want. And that alone has encouraged me to continue improving my creative skills and has fueled my desire to be creative. All of this results in joy! Sounds a little cliche or something, huh? But again, as adults we sometimes forget to enjoy things that satisfy our own individual needs. Bullet journaling has become one of my favorite hobbies. It’s my me-time. It’s my daily self-care and reminder that I am worthy of time to myself and time to enjoy something. Now, let’s dig into the not so fun stuff. Might be hard to imagine after the above paragraphs about how amazing bullet journaling is and how it is such an enjoyable part of my daily life. Despite all the good, there are some things that anyone who is wanting to start a bullet journal should be aware of. As mentioned above, one of the things that gets people so involved and keeps them coming back to bullet journaling is the creativity. But, at what point does the creativity take away from productivity? This has happened to me. I have had a long list of tasks to complete in a day, but instead spent 3+ hours sitting and drawing. It depends. I give myself a break, and so should you. Sometimes, you just need time to enjoy yourself and not rush from task to task like a factory worker. Call it self-care. But, when those days start to take over and day after day you are spending more time drawing up spreads to be productive than you are doing the things you’re journaling about, it can defeat the purpose. I know that this section could result in a lot of backlash. And I’m not trying to tell anyone what’s right or what’s wrong when in comes to their creative planning routine. Instead, it serves as a warning. It can happen. The enjoyment and satisfaction of creating can be way more enticing than doing daily chores. But, the reality for almost all of is that we have a daily to-do list that has to be done. And in my experience, when I spend a lot of time creating and then push everything else off to the side, I feel disappointed in myself. I then feel guilty for not getting stuff done. It’s a balancing act and you have to find what works best for you and your lifestyle. I’m not sure how long this one will last. A lot of the pressure that comes with bullet journaling is brought on by the hype that surrounds it. There’s pressure to have the best supplies and to keep up with the Jones. There’s pressure to be good at drawing and an expert in brush lettering. And then there’s the pressure of filling it all in and making sure to never skip a day. Again, in my experience, this pressure can almost flip-flop the way you feel about your journal. I loved bullet journaling and wanted to be in my journal every second that I wasn’t busy with other things. But as the pressure built and I allowed social media and my own expectations to make me feel inadequate, I started to despise it. My journal become a place of reminder that I wasn’t doing enough. It was a reminder that I wasn’t as good as other people. But, let me stop right there. I don’t want you to feel like this. Ever. And it’s not as easy as just saying, don’t let social media get to you or don’t set crazy expectations. It’s more encouraging you to be mindful and forgiving of yourself. You are going to have bad days and you are going to have good days. I made it about half-way through March and then just kind of gave up in my journal. And I let it go. I made my April pages and said: “I’ll come back”. Bullet journaling is more time consuming than your standard planner. That’s because you have to set up each weekly spread, make your own habit trackers, and monthly calendars. Even if you go bare-bone minimum, it’s a time consuming process. Which means you have to make time to do it. 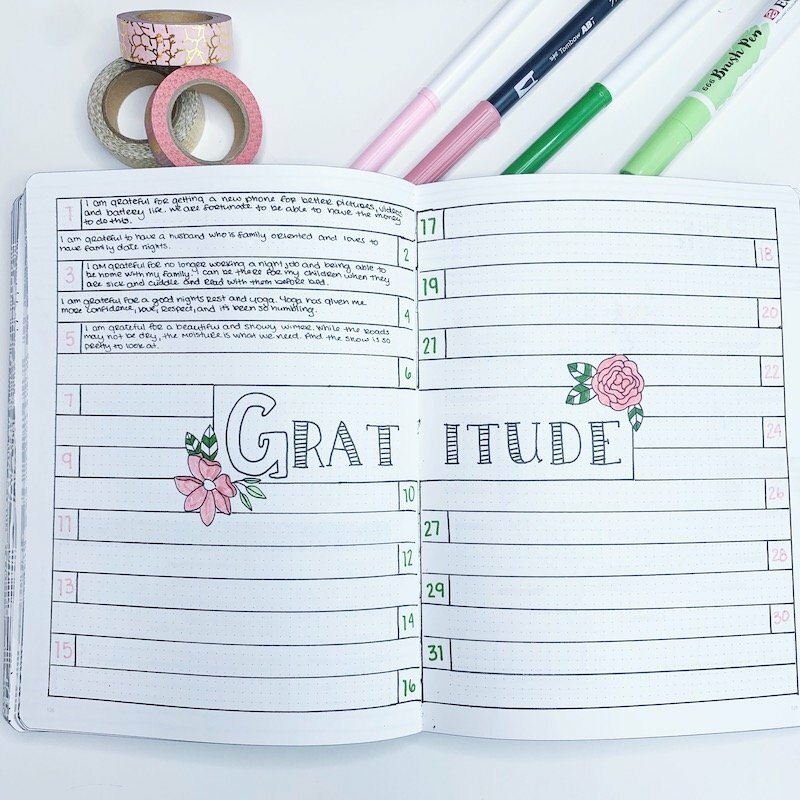 Granted, once you start to feel that joy and excitement around journaling and planning, it won’t seem nearly as time-consuming. And it will be easier to make the time for it. Go to Google one time and search beginner bullet journal. At the time of writing this, there are 11.5 million results. 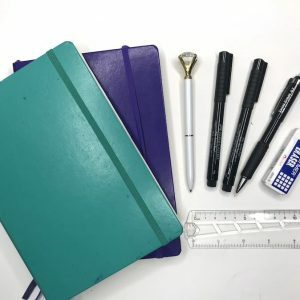 There are tons of blogs and larger websites offering advice on the best beginner bullet journal supplies, how to make weekly pages, what to includes and not include in your habit tracker. As a beginner, this can be overwhelming. It can seem like an impossible task to get started. And to weed out all the fluff and get to the core of what you really need to know can be a chore. I don’t think there is one right or wrong way to go about finding the information you need. But, I recommend finding a blog that you feel a connection to. I hope it’s mine, but if not, that’s okay. There are tons of amazing blogs and websites with great information. Once you find that blog, follow them on Pinterest, browse their Pinterest boards and search for the stuff you want to know about. If you want to make a habit tracker and have no idea where to start, find as much information as you can on them. Don’t just look at pictures, but gain a deeper understanding of the concept and benefits of the system you want to use. This is something I have talked about on and off over the years because it’s something I have had first-hand experience with. And it’s something that has got the better of me time and time again. 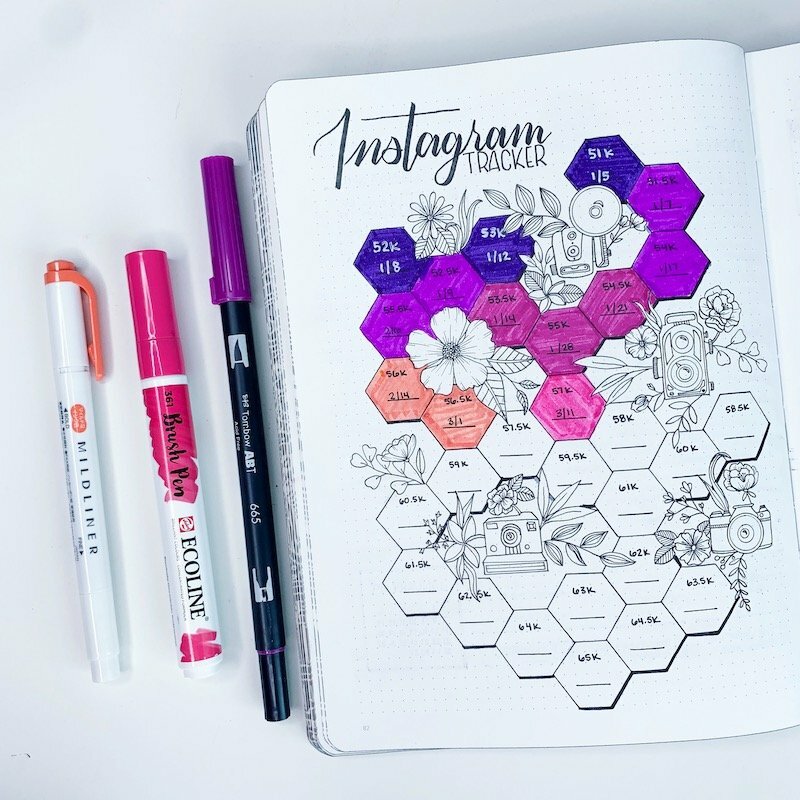 A lot of bullet journalers start an Instagram account for their journal. It’s fun to be a part of a community and share you creations, brainstorm ideas with others, etc. But, social media has proven that it has a dark side in just about every category you can think of, as well. Instagram being the worst. Remember the pressure I talked about? When you have an Instagram account for your journal the pressure can skyrocket. Suddenly you feel the need to post every single day. This may mean making a new page every single day. And eventually, this can lead to bullet journaling feeling more like a chore than something you enjoy. And then, we jump into the comparison and feeling inadequate. It happens to everyone. We all admire someone with different talents and skills than us. And sometimes that admiration can become envy. And envy is an ugly emotion that is hard to shake. We don’t want to feel that way. But it’s bitter and the more we look at social media, the more envious and bitter we can become. So, again this isn’t to say it will happen to you. It’s a warning to let you know that it has happened to me; and I’m pretty damn confident in my abilities and talents. I want you to be able to realize when those feeling of inadequacy are setting in so you can take a step back and appreciate your skills and talents exactly as they are. If you have been bullet journaling for a while, let me know what some of the pros and cons are for you. Do you relate to any of the above? Are yours totally different? Or, do you not have any cons associated with bullet journaling.